anjelique: VLOGMAS #4: Emotional on Christmas Eve! 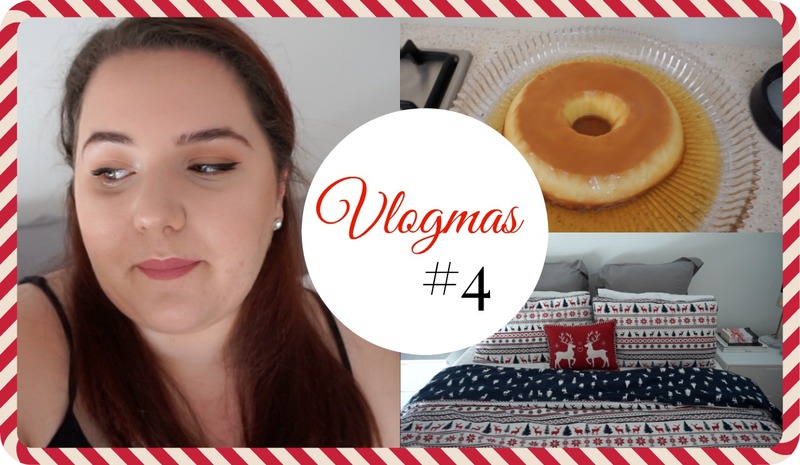 The final installment of Vlogmas is here, which can only mean one thing... Santa's coming! Getting into the vlogging spirit this week was a little more difficult as I was feeling a bit emotional about approaching another Christmas with a few less family members. I think there can sometimes be a bit of pressure around the festive season to constantly be in a happy mood... I know I have definitely felt it this year. I don't mean to be a Debbie Downer at all, so I did try and keep this vlog quite upbeat with a spot of festive baking! I made some more of my Gingerbread Cupcakes to take with me to Christmas Day lunch and also attempted to make Creme Caramel straight from my grandmother's own recipe books. 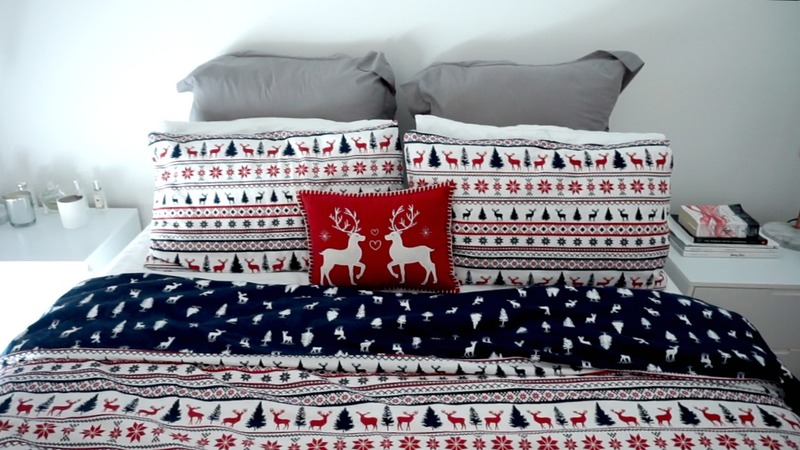 My Christmas Bedding to help get me into a festive mood! Merry Christmas and Happy Holidays to each and every one of you. I hope you are all enjoying a festive break with your family and loved ones. I will be taking a little 'holiday' and returning to blogging and vlogging in January 2016. Love your bedding! Merry Christmas! Thank you so much hun, I hope you had a lovely Christmas and a Happy New Year! Your bedding is so cute! Merry Christmas Anjelique! No way, I didn't know Big W had barry M! I'm going to have to go ASAP but not today because boxing day sales are too insane! I hope you had a lovely New Year Sally! I hope you had a chance to pick up some Barry M! You're so sweet Ela! I hope you had a lovely New Year! Thanks Sera, Happy New Year! I can entirely understand why you'd think about lost family members come Christmastime; I hope you managed to have a wonderful Christmas all the same Anjelique, you deserve it! :) Your festive bedding area looks so lovely too! Thank you so much for your kind words Gabrielle, I hope you had a lovely New Year! You are still lucky if you have some families around you since 3 years my family is away from me and never had a chance to celebrate with them. That's the reality. Aw, I hope you managed to enjoy your holidays Zarrah, Happy New Year! You're so sweet, I hope you had a Happy New Year! Thank you for your kind words Shireen, I hope you managed to have a happy holiday season! Merry Christmas dear!! Love the bed!! Thanks Dora, Happy New Year! Thanks so much for your kind words Jess, I hope you had a Happy New Year! The creme caramel looks so nice! Happy new year! Thanks so much Meg! Happy New Year to you too! The reindeer cushion is so cute. Haha it's one of my favourite decoration pieces! Super cute video Anjelique! 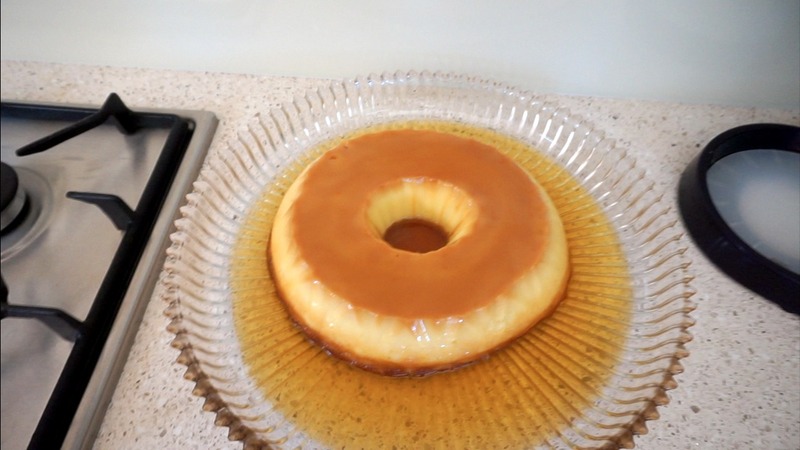 Nice home decoration and lovely creme caramel! Happy new year, i wish all the best! Thank you so much gorgeous girl, I hope you had a Happy New Year! Thank you Alyssa, Happy New Year! SUper cute post / vlog dear, as always! Thanks so much Lena, Happy New Year! Thanks so much Olivia, Happy New year! Happy New Year A! I do hope you also had a lovely Christmas. That time of year can be incredibly stressful. At least it's over with for now. Thanks so much Sonia, Happy New Year!